We continue our Charleston holiday gift guide with a sweet gift made with honey found right here in the area. Savannah Bee Co.’s Charleston honey is a robust wildflower blend from the banks of the Ashepoo River just outside Charleston. Cost is $15 for 12 ounces; $6 for 3 ounces. 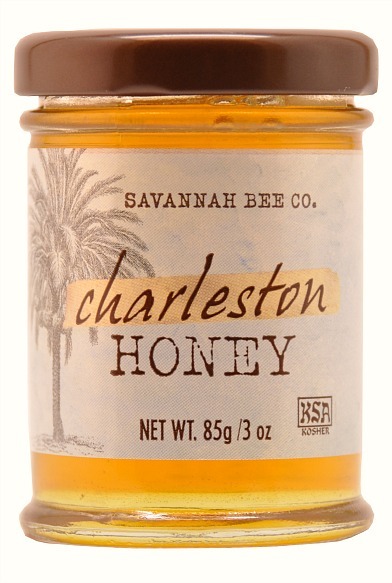 Pick up some Charleston honey and other items at a variety of Charleston area retailers and at the Savannah Bee Co. store at 216 King St.
You also can shop online; they have an extensive list of gift ideas, including soaps, a sample set of honey and honey roasted coffee. Be sure to place your online order by Dec. 17 to ensure timely Christmas delivery.